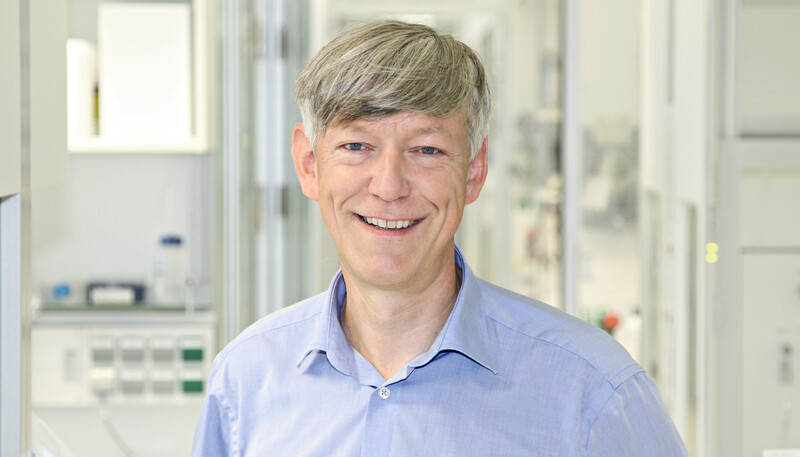 Hans-Reimer Rodewald from the German Cancer Research Center (DKFZ) has received the 2019 Gottfried Wilhelm Leibniz Prize, which is the most important research funding award in Germany. Rodewald's work focuses on the question of how various types of immune cells develop from stem cells and together form a functioning immune system. With his outstanding scientific accomplishments, Hans-Reimer Rodewald has ranged among the world's leading immunologists for many years. His research is centered around the question of how various types of immune cells in the body develop from stem cells to form and maintain a functioning immune system. The origin of the many different types of immune cells ultimately determines their function. Since 1985, the German Research Foundation (Deutsche Forschungsgemeinschaft, DFG) has annually awarded the Gottfried Wilhelm Leibniz Prize. The most important research award in Germany is accompanied by a monetary prize of up to €2.5 million. "We offer our warmest congratulations to Hans-Reimer Rodewald for this exceptional distinction, which he most highly deserves," said DKFZ Chairman and Scientific Director Michael Baumann. "For many years now, he has impressed the scientific community with his seminal results, which contribute to enhancing our understanding of the body's immune system. With his excellent and methodically innovative research on the basic mechanisms of immune defense, he additionally paves the way for developing and enhancing immunotherapies against cancer." Rodewald's discovery of a cellular stage from which a cell type called mast cells develops aroused particular attention in the scientific community. Mast cells are a type of immune cells that has remained largely enigmatic until now. They are involved in many allergic reactions. For many years, scientists had been searching in vain for the mast cell's progenitor stages. Another equally noteworthy achievement has been the unraveling of signaling networks that regulate the development of T lymphocytes in the thymus. This groundbreaking research has not only enhanced our understanding of how blood cells form from stem cells (hematopoiesis) but has also provided new and unexpected insights into the mechanisms underlying the development of T cell leukemias. In his more recent work, Rodewald succeeded in equipping immune cells with a barcode system in order to track them in the living organism. In this way, he can study how the multitude of different cell types in the blood develops. To this end, he used fluorescent dyes that can be "switched on" as needed. Rodewald's discoveries have already made their way into immunology textbooks. Hans-Reimer Rodewald studied veterinary medicine in Hannover and subsequently did his doctorate at the Max Planck Institute of Immunobiology in Freiburg. Afterwards, he worked as a postdoctoral researcher at the Massachusetts Institute of Technology and at the Dana Farber Cancer Institute of Harvard Medical School. From 1992 to 1999, Rodewald was a member of the Basel Institute for Immunology. He subsequently accepted a professorship for Immunology at the University of Ulm. Since 2010, he has led the Division of Cellular Immunology at the German Cancer Research Center (DKFZ) in Heidelberg. Rodewald is deputy coordinator of DKFZ's Research Program "Tumor Immunology". Rodewald has published his research results in over one hundred scientific publications so far, many of them in the most prestigious specialist journals. In 2009 and 2016, he received Advanced Grants from the European Research Council (ERC). He has been EMBO Member since 2016 and was honored with the German Immunology Award in the same year. Use is free of charge. The German Cancer Research Center (Deutsches Krebsforschungszentrum, DKFZ) permits one-time use in the context of reporting about the topic covered in the press release. Images have to be cited as follows: "Source: Jutta Jung/DKFZ".